Test your art trivia knowledge about other famous painters with this quiz! Then tell us in the comments section about your favorite painter or work of art. Know who’s who in art history? Take the quiz. 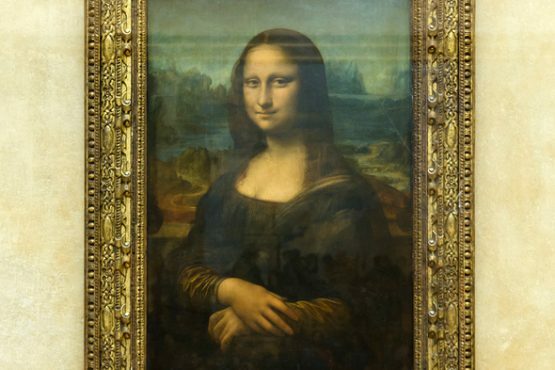 How long did it take for Leonardo da Vinci to complete the Mona Lisa? According to his biographer, he began in 1503 and took four years to complete it. And thankfully he did—he was actually known to start paintings and projects and never finish them! True or False: Having painted hundreds of canvases in his lifetime, Van Gogh became extremely rich. False: Van Gogh only sold one painting in his lifetime. He was actually quite poor and was supported financially by his brother. After his death, his widow Jo van Gogh-Bonger set out to show the world his masterpieces and he gradually became known as the genius artist we know of today. Which famous artist joined Vincent van Gogh’s creative colony in the south of France? Van Gogh painted his famous sunflowers to hang in Gauguin’s bedroom at the collective studio in Arles. After Van Gogh suffered an intense mental break down and threatened him with a knife, however, Gauguin promptly left for Paris, and Van Gogh was institutionalized. True or False: Mexican artist Frida Kahlo, famous for her vibrant self portraits, claimed to be three years younger than she was. Kahlo claimed that she was born in 1910—the year the Mexican Revolution broke out—when she was really born in 1907. Some say it was because she because identified so strongly with her evolving nation. True or False: Surrealist painter Salvador Dali had a brother also named Salvador, but he died nine months before the artist was born. Dali grew up feeling as though he was meant to be a replacement for his brother who died in 1903 of a stomach flu. Dali portrayed him as a grown man in his 1963 painting Portrait of My Dead Brother. She wanted to remain anonymous. There was no need. People would know they were hers. She did not want to be known as a woman painter. O’Keeffe figured that due to her signature style and characteristic scenes, people would be able to recognize her paintings without having to add her name to them. Impressionism was inspired by Claude Monet’s paintings and became popular after he died. Impressionism blossomed during Monet’s lifetime. At a Paris exhibition alongside Edgar Degas, Renoir and Édouard Manet, Monet drew criticism for his unfinished-looking painting Impression: Sunrise. This fueled the artists, as they collectively embraced the term, calling themselves impressionists. Which New York City-base museum first supported Jackson Pollock’s work? After briefly serving as a maintenance worker at the Museum of Non-Objective Painting, which later became the Guggenheim, Peggy Guggenheim provided Pollock with a several-year contract paying him to paint full time. True or False: Pablo Picaso produced approximately 20,000 paintings, drawings, sculptures and other creative works throughout his lifetime. True. He went through many different artistic phases in his life, and worked right up through his nineties. And he didn’t just create with canvas, paper and clay—he also designed theater sets and costumes. Mary Cassatt, famous for her beautiful, maternal paintings of women, was the only American invited to join what well-known art movement? Edgar Degas invited Mary to join the Impressionists in 1877, and he promptly became her mentor. I feel that painting is really fun. i LIKE painting . Painting is fun. The MoMA is cool place.